The heart of any Sauna is the Sauna heater, and these authentic Finnish Sauna heaters, made in Finland, Sweden, Germany and the United States, are known for their superior quality and performance. They have achieved their success through innovative design, quality construction, and constant testing. 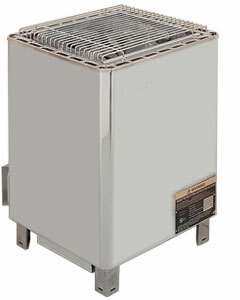 Our heaters produce excellent “loyly”, or steam. The steam that is produced is soft and is important because it aids in perspiration. Without this steam there would not be a Sauna. 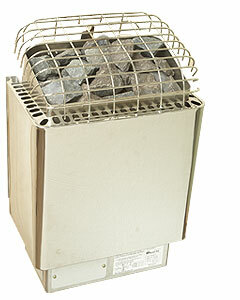 Direct rock contact with heating elements-necessary to filter the harsh heat radiating from the 1400° F elements, to eliminate the electo magnetic field for safe and therapeutic bathing: (the bather feels only pleasant, soft heat) and to produce the best steam when water is poured over them. 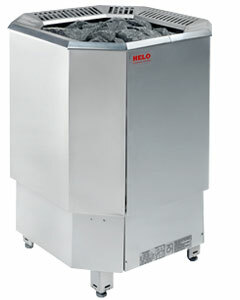 ** Helo is a division of the TYLOHELO Group which is the worlds largest sauna and steam bath business. 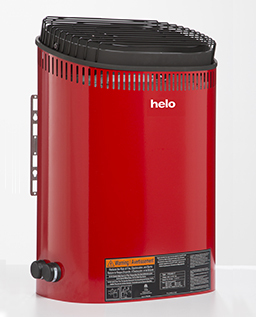 We also have access to the other brands under the TYLOHELO umbrella available in US markets, such as Tylo and Finnleo. The Fonda series has two control options: Fonda-B with built-in control & Fonda-T which is combined with separate, wall mounted Helo T1 Touch Screen Sauna Control - to optimize the sauna experience. Wall mounted, for use with saunas up to 425 cu. 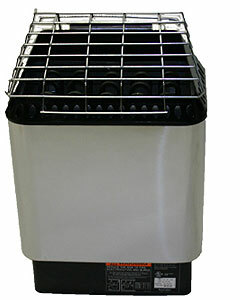 ft.
- For sauna rooms ranging from 100 cu. ft. to 425 cu. ft.
Sleek dark glass display panel and soft glowing lights of the T1 Touch Screen Sauna Control provide a contemporary look that fits well with high-end bathrooms and saunas. 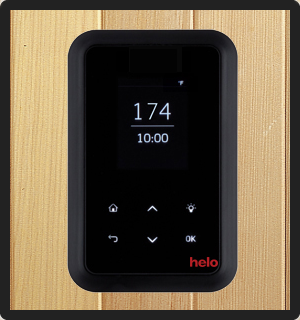 Touch screen operation provides easy control of sauna temperature and time settings. The large T1 screen displays sauna temperature and time of day, and the temperature can be displayed in either Fahrenheit or Celsius. The display screen features an adjustable sleep mode with integral sensor to activate the screen when approached. Simply wave your hand in front of the control or touch the screen to activate. Multiple language settings include English and Spanish. The T1 has a delayed start feature to pre-heat the sauna at a selected time of day, eliminating the need for bathers to wait for the room to reach the set temperature. The control features flush-mount, low-profile installation for a neat, professional look. A remote mounted sensor allows the T1 Touch Screen Sauna Control to be located in any number of locations outside the sauna, and it can be mounted inside the sauna, if kept below 35" high. The 'T' series is combined with separate, wall mounted Helo T1 Touch Screen Sauna Control - to optimize the sauna experience. Wall mounted, for use with saunas up to 425 cu. ft.
For saunas up to 425 cubic feet, the Viki digital heater with the SaunaLogic Control is easy to use and is a terrific value.